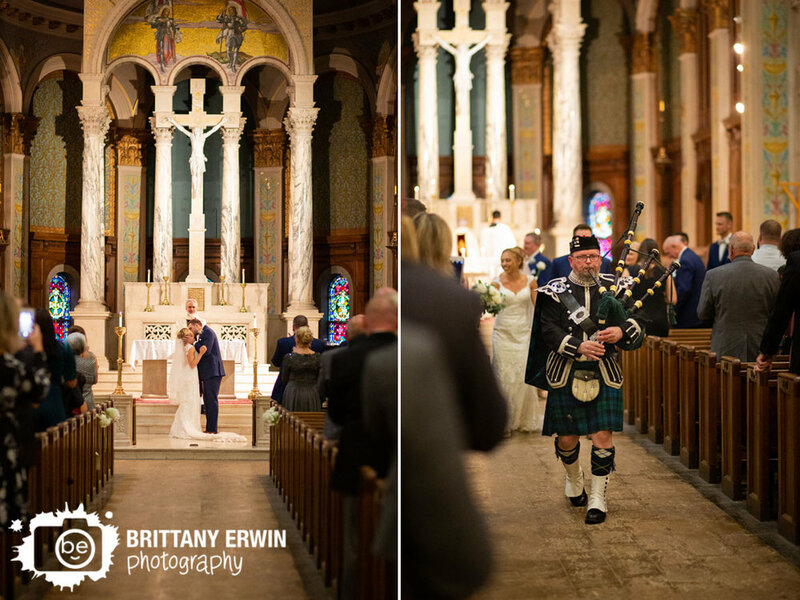 It’s been about a week since Caitlin and Dustin tied the knot at the stunning Saint Joan of Arc just north of Downtown Indianapolis. 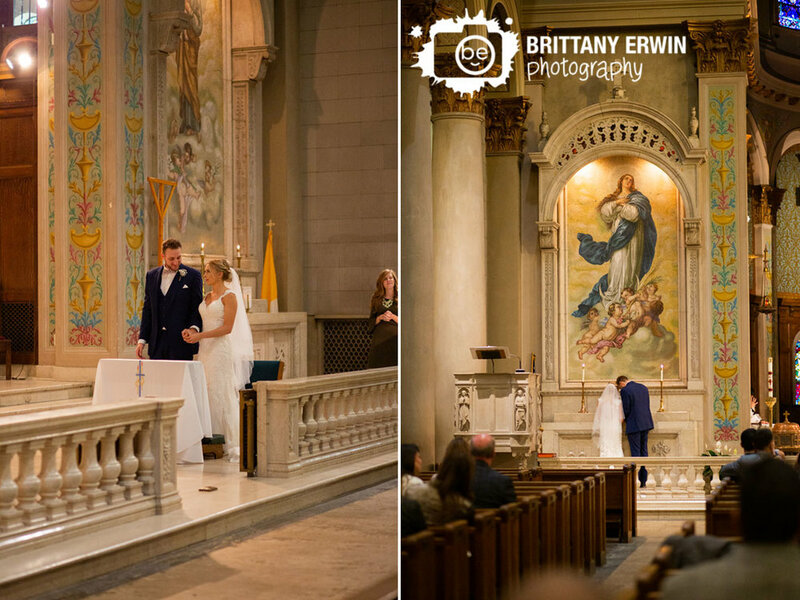 They chose the stunning Catholic church for their wedding ceremony not only for it’s gorgeous stained glass and paintings but also because they are parishioners there. 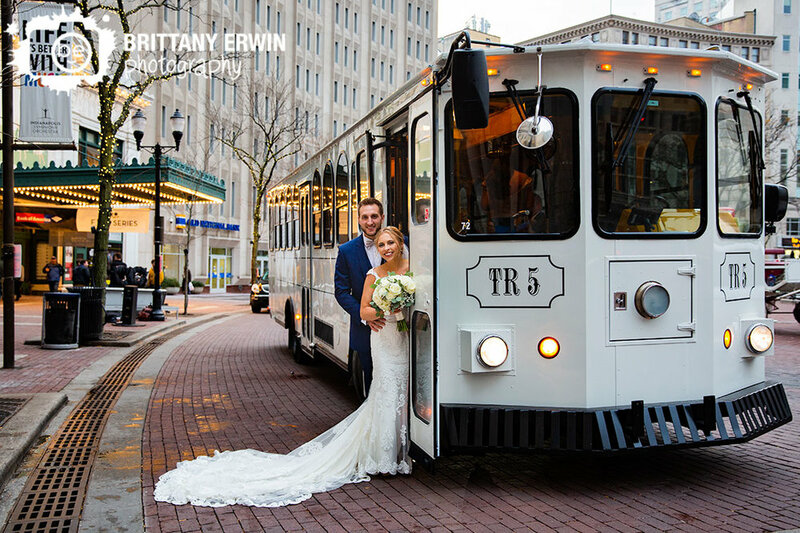 After an emotional faith centered ceremony, Dustin, Caitlin and their awesome bridal party headed downtown to Monument Circle on a trolley for some photos with the monument all decked out for the upcoming holiday season. 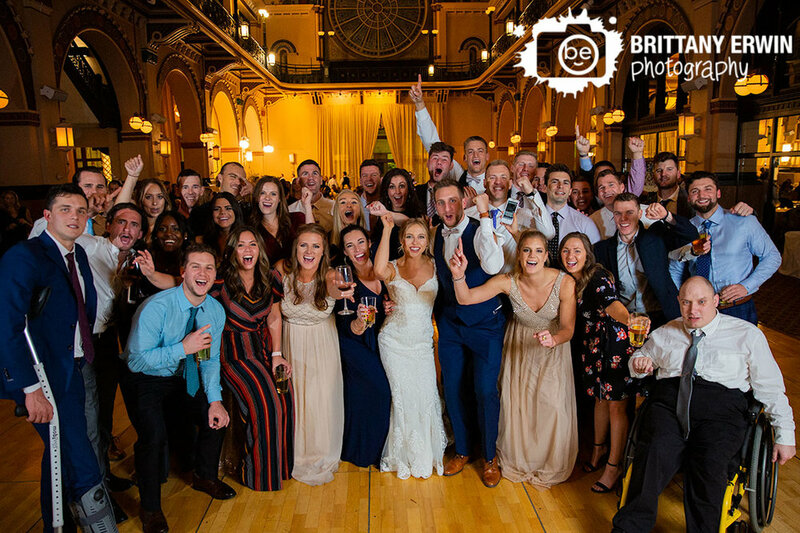 Lights were glowing and the bridal party was full of laughs and even stopped to shotgun a beer! 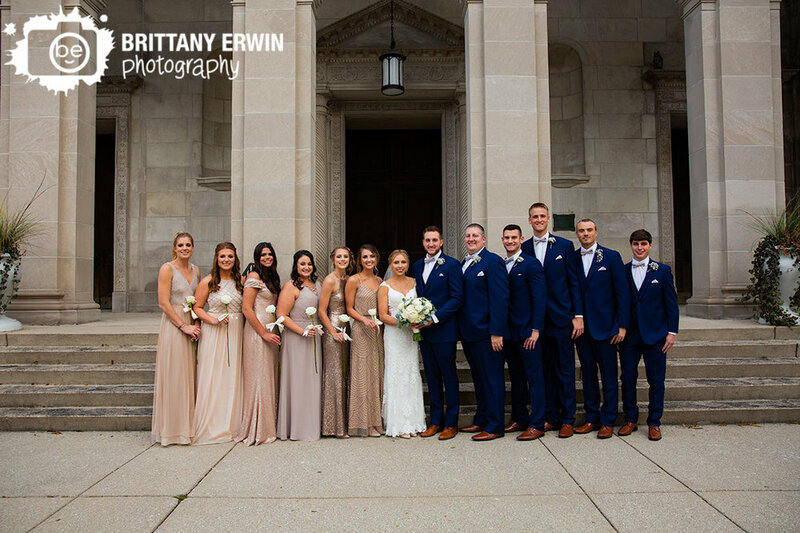 I had so much fun with this crew and still can’t believe just how gorgeous the entire day was. 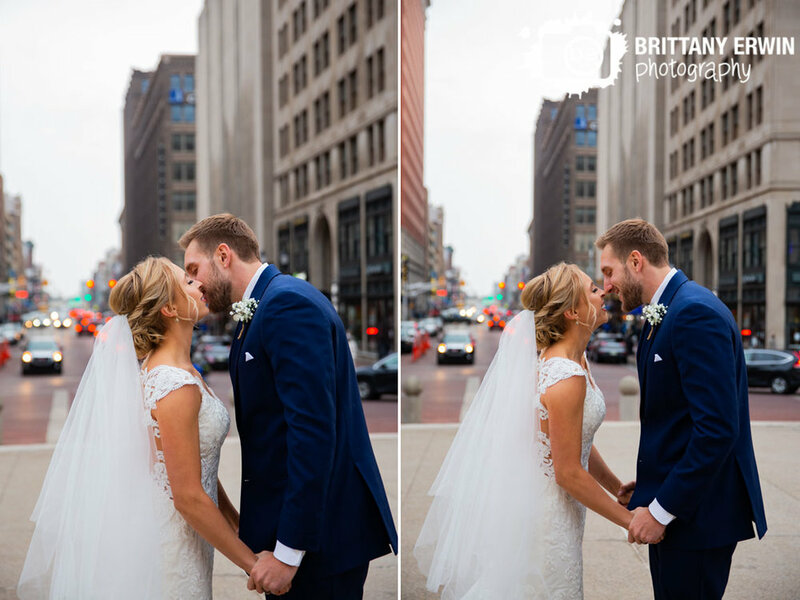 After their portraits around our city’s center, we headed back to Union Station, possibly my favorite wedding venue of all time. 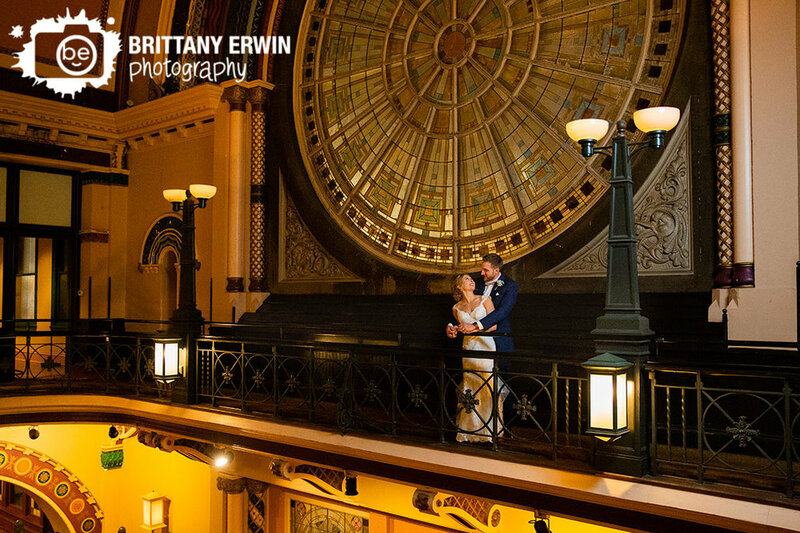 The sky-high ceilings and GIANT stained glass made for a magnificent backdrop to their candle lit romantic evening filled with donuts(on a killer donut board), Bloomington favorites like Kilroys bread sticks and loads of dancing. 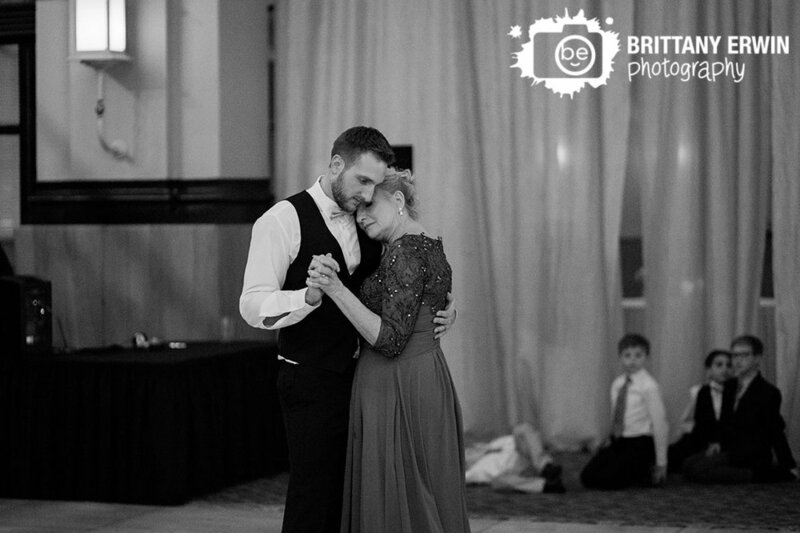 A huge congratulations goes out to Caitlin, Dustin and their families on an absolutely perfect day! 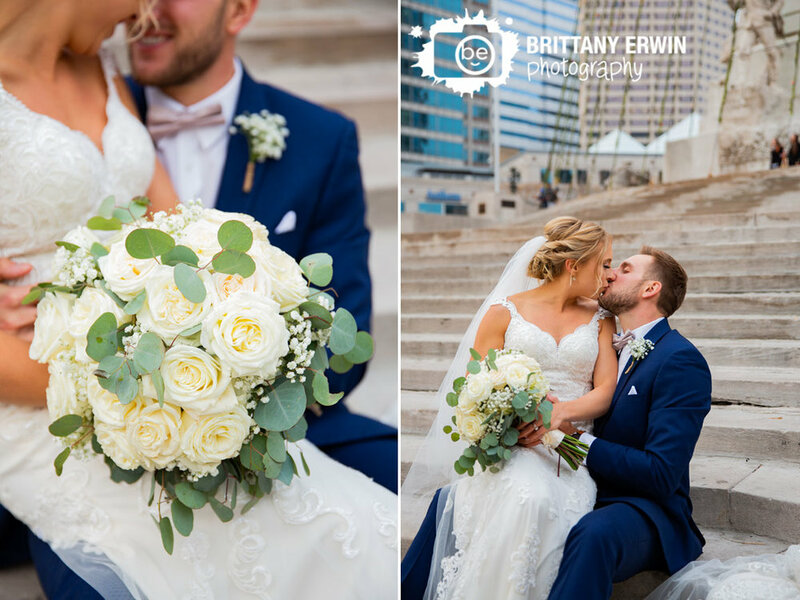 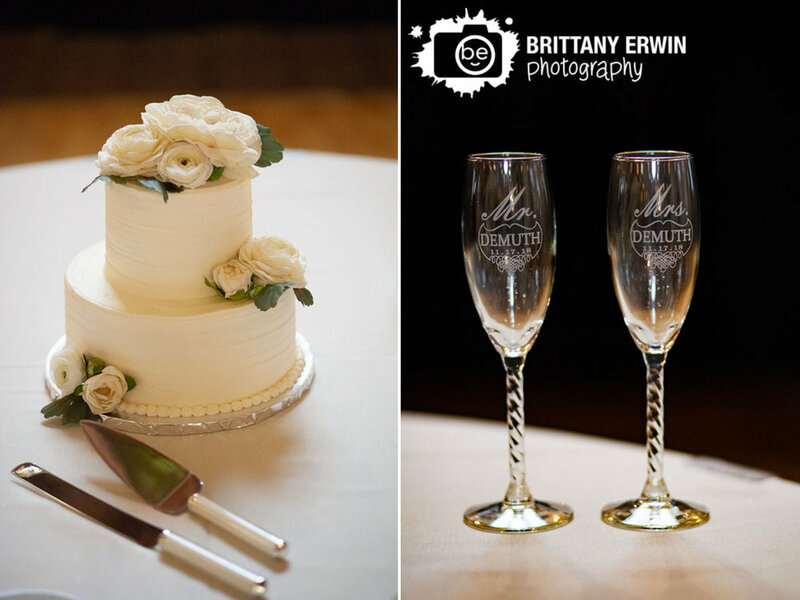 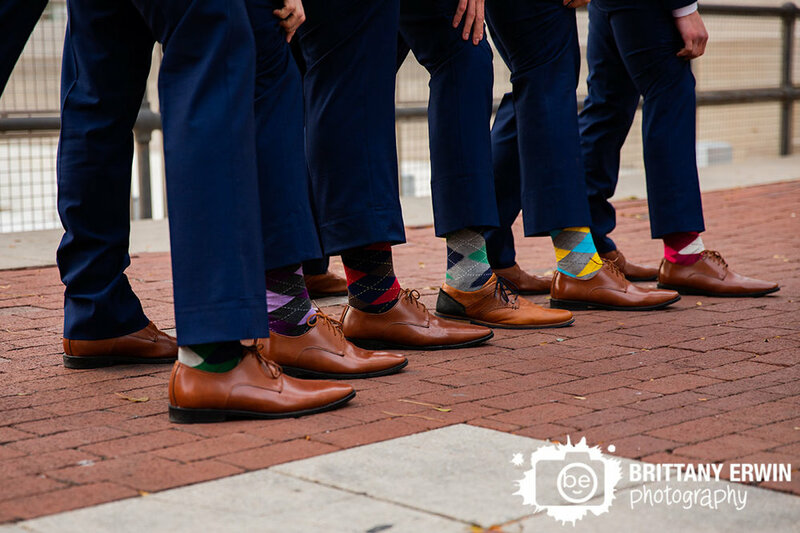 Caitlin and Dustin’s advice: Live in the moment and make the wedding preparation process an opportunity to grow and learn more about each other, its an ADVENTURE!